New Majority California promotes a fiscally responsible philosophy in government and an inclusive mainstream approach towards politics. Through education and contributions, we seek to inform our membership and contribute resources to Republican and other philosophically aligned candidates and issues that share our mission. I would like to express my personal thanks for your interest in the New Majority Los Angeles. I cannot be more proud of the candidates we have endorsed and the positions we have taken on key issues over the years. We are first and foremost as an organization dedicated to reforming a broken political and education system in California. This is such an exciting time, as Republicans we now control the national agenda and can push our ideas on issues such as education and tax reform, and also help small businesses thrive in a more friendly climate, bringing back jobs and growing the economy. As an organization, we have an established track record of success. Our FEDPAC played a significant role last election cycle, coordinating closely with our partners at the NRSC and NRCC to make sure we direct our resources to the races where our money makes the difference. They know how important New Majority has been over the years winning and protecting our majorities in both the U.S. Senate and the House. Last year, our Chapter experienced explosive membership growth. We also had an unprecedented number of events and programs, with high profile speakers. On behalf of all the Members and the Board of Directors, we thank you for you interest in the New Majority, and we hope you will consider becoming a member of our organization. Protect GOP Incumbents & Regain 1/3rd Control in the Legislature. Expand the Republican Majority in the U.S. Senate & House. Monitor Governor’s Race & Other Statewide Contests. Work to improve our Education System and Protect Prop. 13. Increase Voter Registration & Voter Turnout. Protect Against Tax Increase & Anti-Jobs Ballot Measures. New Majority Los Angeles and the Republican Party of Los Angeles County (RPLAC) Leadership have restructured the county party to become an effective political organization. Since 2013, RPLAC has helped nearly 300 Republicans win local office and has built relationships in non-traditional Republicans communities. New Majority Los Angeles is the premier political organization in the county and New Majority California is the largest and most influential Republican PAC in California. An an organization, we have developed a strong political network, composed of leaders in the world of business, education and philanthropy. The Chapter and its members get involved at all levels of politics, from Presidential politics, to U.S. Senate and House from across the country. In addition, as the largest Republican PAC in California, New Majority has a proven track record of success in California contests, including legislative races and statewide ballot measures. Lastly, the Chapter, along with the county party, has helped over 300 Republicans get elected to local office, from Mayor, City Council and School Board races. New Majority promotes a fiscally responsible philosophy in government; an inclusive common-sense approach towards politics. Through education and contributions, it seeks to inform its membership and provide resources to Republican and other philosophically aligned candidates and issues that share our mission. 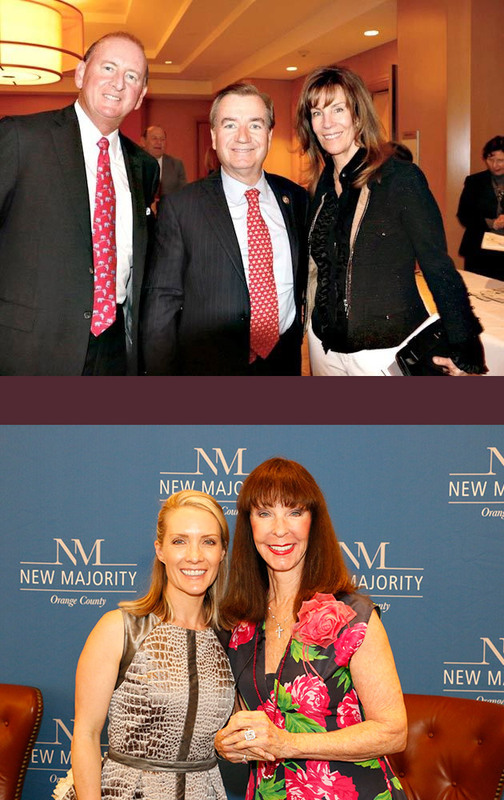 Founded in 1999, the New Majority, with chapters in San Diego, Orange County, and Los Angeles County, is a member driven political action committee. 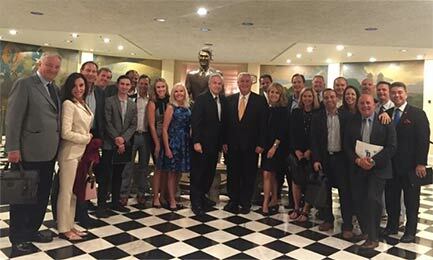 Even though many members are active in different levels of local, state and national politics, they have joined the New Majority to leverage their efforts together as a powerful political organization that has become one of the largest, most respected and fiscally focused Republican PAC’s in California. As part of your New Majority membership benefits, our dues are all inclusive. Your contribution allows you and your significant other to to attend any event as well as any meeting. You and your significant other are also considered a joint membership – and he or she has the same opportunities as you do. Each member is attached to the home chapter of their choice – but can enjoy every opportunity in any of the three chapters. In addition, we encourage all members to serve on the Committee of their choice. All Committees are voluntary – and members are invited to be as involved as they would like. Committee service is not a requirement of membership – it is just a way to pursue our political and educational issues in a more in-depth setting.